Remember your healthy shiny hair? Now think back to when you noticed more hairs in your brush and more hairs when you washed your hair. Most people notice extra hair loss for a while and then forgot all about it because it stops. This is generally termed diffuse hair loss and is normally self-correcting once the causative factor is removed. What is essential here is finding what caused the hair loss. For some it is a one off incident and all should recover. For others, it can be a recurring health problem that needs to be addressed to prevent recurring hair loss. Diffuse hair loss is the most common type of hair loss whether it is termed Telogen effluvium or anagen effluvium. Diffuse hair loss happens diffusely over the entire head. Diffuse hair loss will never affect every hair on your head. We all naturally lose hairs every day. Natural, normal daily hair loss averages between 70 – 160 hairs lost as part of the natural hair cycle. 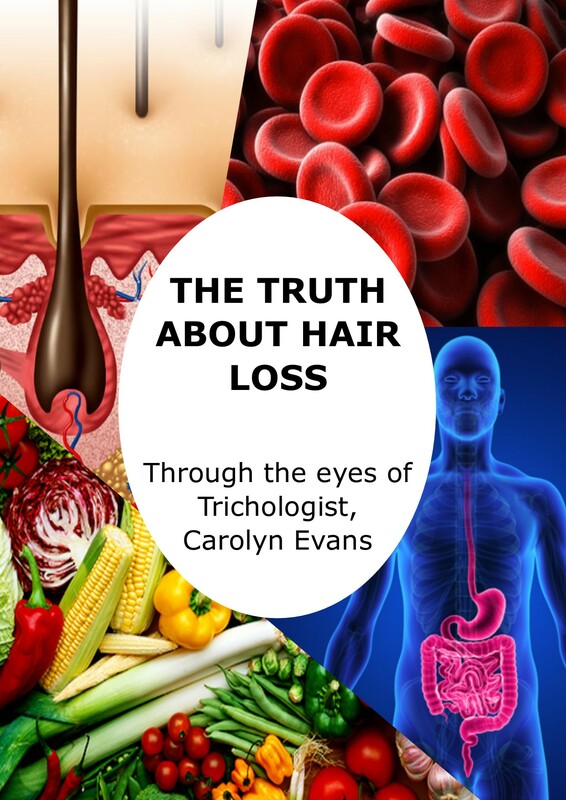 When something happens in the body it can trigger anagen growing hairs to fall prematurely along with natural hair cycle telogen falling hairs. This can result in over 300 hairs falling every day, diffusely. If you suspect diffuse hair loss it is worthy of checking in on your hair cycle during or after hair loss to ensure hair grown back normally to your genetic hair type. When diffuse hair loss begins it continues for 3 months. There is no way of stopping current diffuse hair loss. The cause happened to the body 3 months ago. This is a scientifically proven fact. If you feel you have annual or seasonal hair loss, you need to look into the body changes at those times. It takes significant body changes and triggers to cause diffuse hair loss. 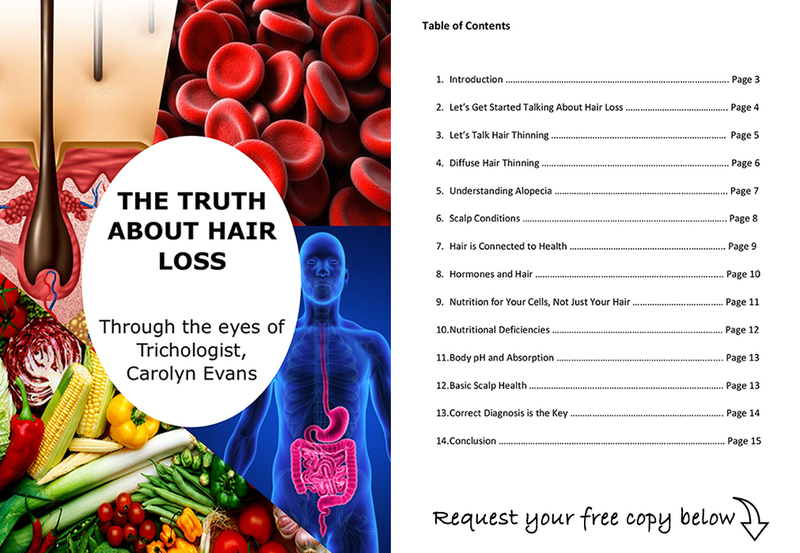 Diffuse hair loss is your body telling you something is wrong. Diffuse hair loss occurs when there is body imbalance. This should be a temporary disturbance to your genetic hair cycle. We all have our very own individual hair cycle; it is as unique as your thumb print. Every hair on your head also has your own unique genetic code, your DNA. DNA is what holds your hair code for hair type, hair colour, hair density and hair cycle. Diffuse hair loss interrupts your genetic hair cycle and if body balance is not in the right place when recovering from diffuse hair loss, the hair may not grow back the same. This then can result in diffuse hair thinning.